The current correction is taking too much time. Most likely, the bears will reach a new local minimum and then the level of 50%. 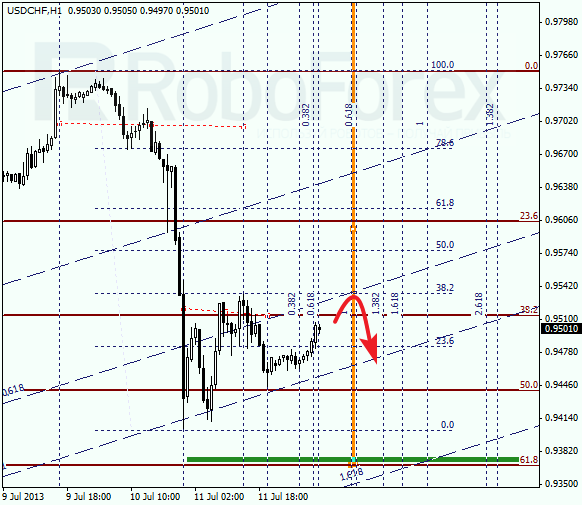 If the price rebounds from this level, I’ll open some buy orders with the target at the level of 78.6%. 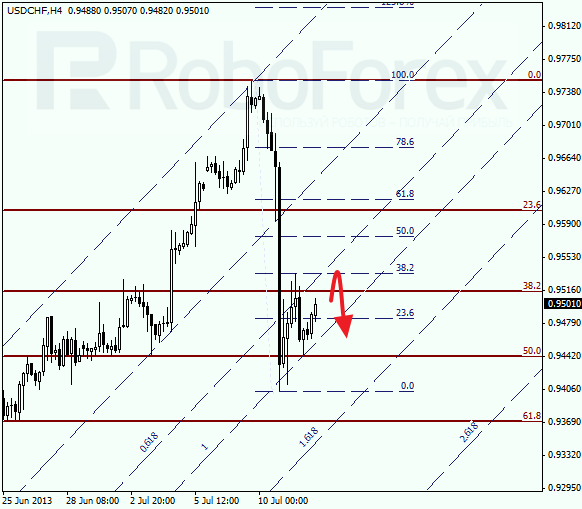 According to the analysis of the temporary fibo-zones at the H1 chart, the price may reach the level of 50% during the day. The future scenario depends on how the pair will move at this level. If the bears are able to break it, the correction may continue. Franc is also being corrected; the target is at the level of 38.2%. If later the pair breaks this level, the market will continue growing up towards the level of 50%. 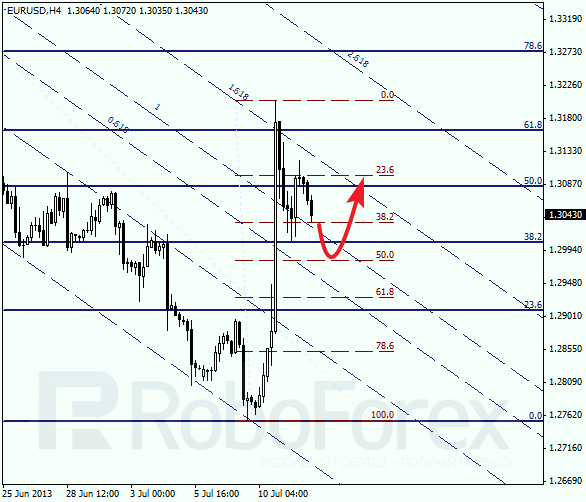 At the H1 chart, we can see a temporary target, which may complete the current correction. If the bears are able to rebound from the level of 38.2%, I’ll open some sell orders with the tight stop.